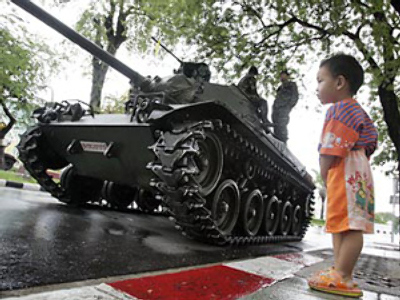 Four tanks appearing on one of Bangkok’s main streets on Monday caused rumors of regime change to sweep Thailand. Eye witnesses thought the heavy equipment meant a new coup d’etat was underway – which was not the case. 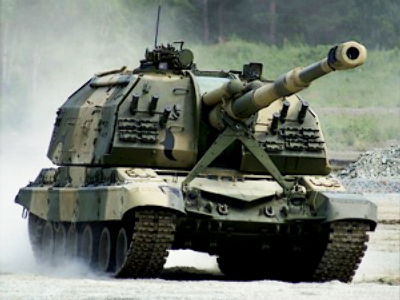 As RIA Novosti reports, quoting the local media, these tanks, decommissioned from an operation in the southern border province, were heading for routine maintenance at a military base. The main entrance to the base faces a major street on the Thai capital, Vibhavadi Rangsit. Normally tanks and other heavy equipment are directed into the base through another entrance overlooking small and narrow streets. But in the evening there are often traffic jams on those streets, so military officials decided to take the wide Vibhavadi Rangsit street to avoid rush-hour tie-ups. While these tanks might have had no problems moving through the capital, the military was later forced to take pains to convince Bangkok residents that their worries about a new coup were unfounded. No wonder coup rumors spread at the speed of sound – just the day before the opposition had stated it was preparing for a take-over of power. Since 1945 the country has lived through 18 military coups and, as this incident proves, the Thai people never rule out the possibility of their government again being overthrown.